A side-by-side vehicle (SSV) is different from a quad bike, they are typically sit-in, have a steering wheel, seat belts, rollover protection and have a higher load capacity. 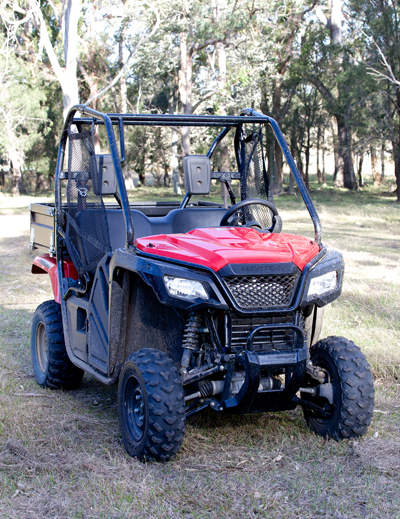 Depending on the job, SSVs can be a good alternative to quad bikes. Sixty per cent of the quad bike fatalities examined by the NSW Coroner in 2015 involved a rollover. SSVs are considered to be an effective way of protecting against quad bike related injury and fatalities on-farm. The safest vehicle is the one best suited to the job. Before you purchase a vehicle for your farm, talk to your local dealer about your own farming situation and read the vehicle manufacturer’s recommendations to ensure the vehicle is suitable for the task and circumstance. You can also check out the testing done by the transport and safety researchers from the University of New South Wales here.